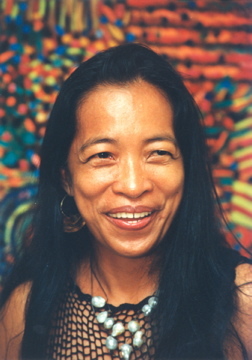 She was a painter, printmaker, installation, and trapunto artist. She graduated with AB and MA from the University of the Philippines, studied art at the Corcoran in Washington D.C, and Art students League in NYC. She painted and created oversized trapunto, an art of quilting, while traveling across 5 continents, exhibiting them in the best museums and galleries in 80 countries. Her work is a characterized by vibrant, colorful primitivist, experimentation. Her early canvases were figurative socio-political works about life of third world peoples. She produced over 3,500 art pieces. While battling cancer, she painted a 55-meter long bridge in Singapore with 2,350 multicolored circles, and held a solo exhibit of new works and hand-colored pressed paper pupl at the Main Gallery of the CCP. 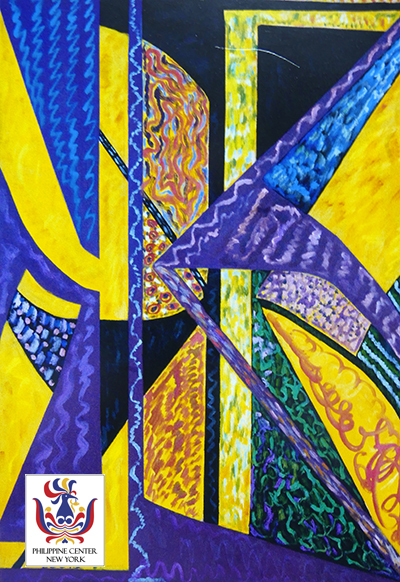 Her work is subject of many books, including a Passion to Paint: the Colorful World of Pacita Abad by Jack Garrity.